Home Order Fulfillment Automation Solutions. Complementary Applications. QC Workstations. Optimize quality control speed and accuracy over paper-based, “read and verify” methods. Improve the speed and accuracy of your quality control verification process with the Lightning Pick QC Workstation. More accurate than paper-based processes, QC operators now have an automated method of checking the quality of orders against the Lightning Pick real-time database. In standard applications, totes flow to the Lightning Pick QC station — which features a network-connected PC. 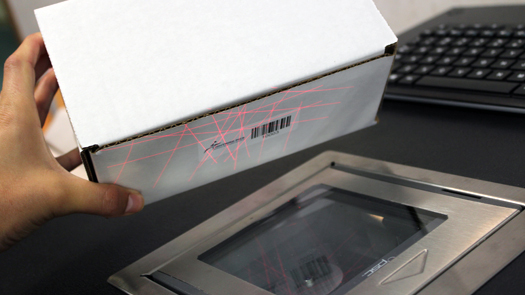 The QC operator scans a barcode on the tote with a corded, hand-held RF barcode scanner. This displays all items required in the order on an eye-level LCD touchscreen for easy interface. The operator then empties the contents of the tote into a tray on one side of the station. Next, each item is scanned on the flatbed scanner, ergonomically-mounted on the workstation table-top. As items are scanned, the touchscreen shows that the items are either correct, or incorrect. Finally, the items are returned to the tote on the opposite side of the QC station. This displays all items required in the order on the eye-level LCD touchscreen for easy interface. The operator then empties the contents of the tote into a tray on one side of the station. As each item is scanned, the touchscreen shows that the items are either correct or incorrect. Finally, the items are returned to the tote on the opposite side of the QC station. Audio and visual feedback is presented to the operator during the item scans, increasing speed and accuracy. 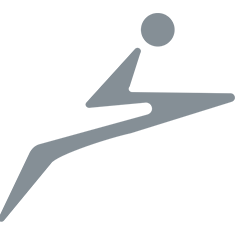 Mis-picks, over-picks, incorrect and missing products are all flagged on the screen, while optional operator messages prompt input of customer-specific error codes and/or descriptive text. Software interaction occurs by touching large on-screen buttons, avoiding repetitive keyboard and mouse usage. 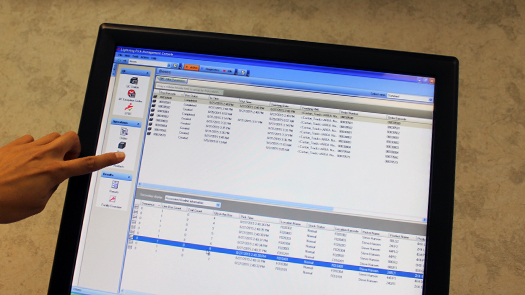 Upon completion of the QC process, a detailed shortage report can be printed on any nearby, network-connected printer. 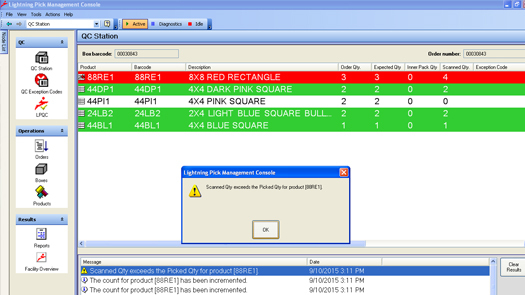 Lightning Pick QC Workstation software displays details about the expected contents of the current container on the upper portion of the screen. Status and results are displayed on the lower portion of the screen. A running comparison of the items scanned versus the expected quantities — as confirmed by the pick-to-light picker — is continually updated on the screen. 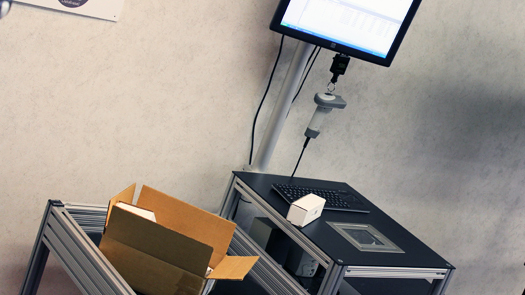 The QC Workstation eliminates the potential for human error. Ergonomic and user-friendly touchscreen and table-top scanner included. Audio and visual feedback are presented to the operator to increase scan speed and accuracy. Mis-picks, over-picks, incorrect and missing products are flagged on the screen. Read more about our easy-to-use QC solution, available as a standalone product or integrated into other material handling automation, including Lightning Pick’s pick- or put-to-light systems.